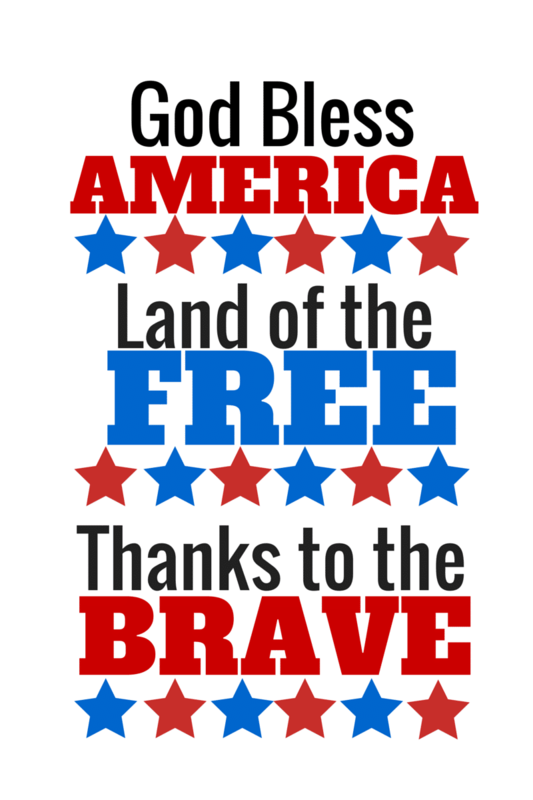 God Bless America, Land of the Free, Thanks to the Brave! 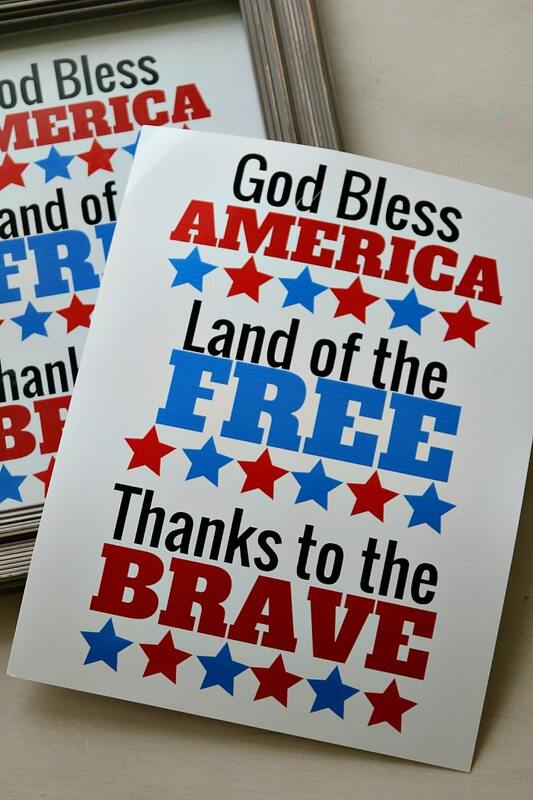 As a long line of military men on my husband’s side, we wear our military pride on our sleeves and decorating for July 4th is so easy with this printable. 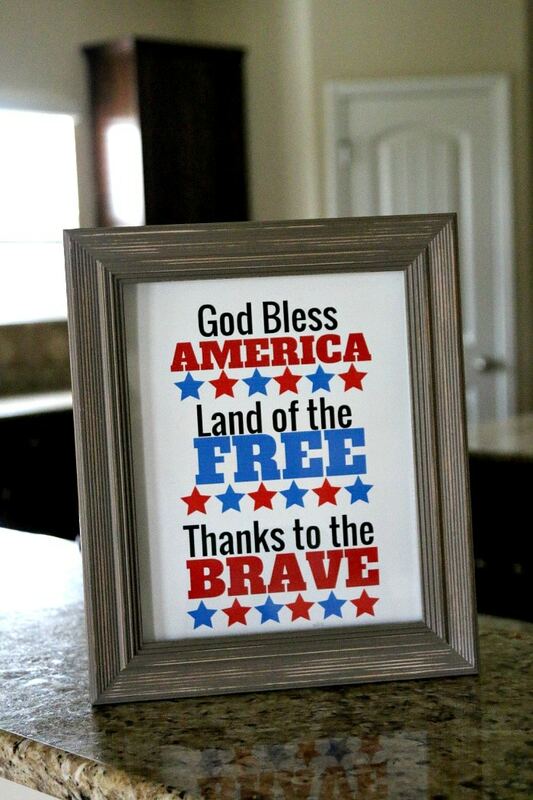 Just print off on a nice quality photo paper (make sure you settings are adjusted) and pop in a frame for instant color and red, white, and blue decor. You can also add a ribbon and hang from the door, print into placements or any other idea that you can think of!